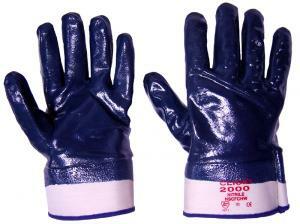 - Heavy duty coated glove offering excellent protection in the more aggressive industrial applications. - The soft jersey liner keeps the hand comfortable while the rugged Nitrile coating resists puncture cuts and abrasions. - Cat II EN388 4221.